Publisher Desc. O Magnum Mysterium is part of a larger work called Incarnatio Mysteria, or Mysterious Incarnation, which received its world premiere at Avery Fischer Hall at Lincoln Center on June 19, 2011. 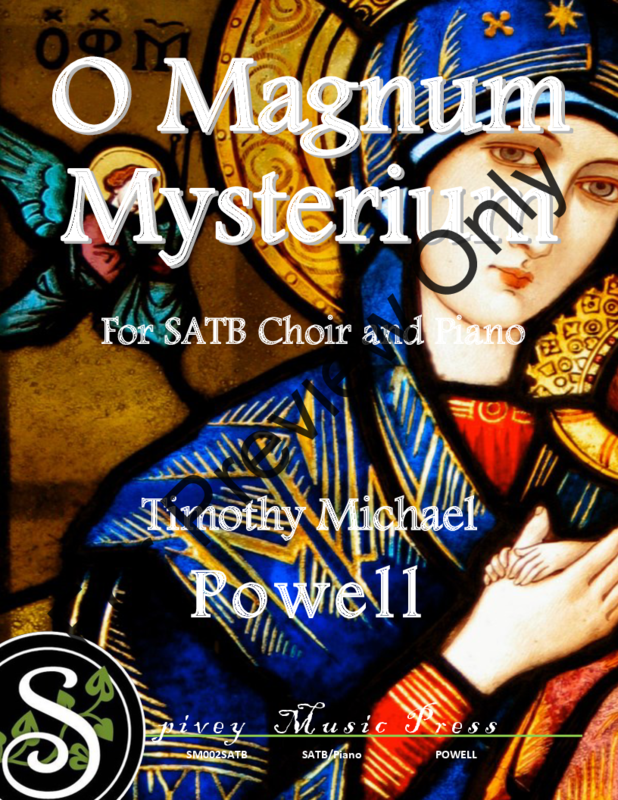 The piece uses passages from the Bible, as well as some traditional motet and prayer texts to explore the mystery of the Incarnation of Christ. 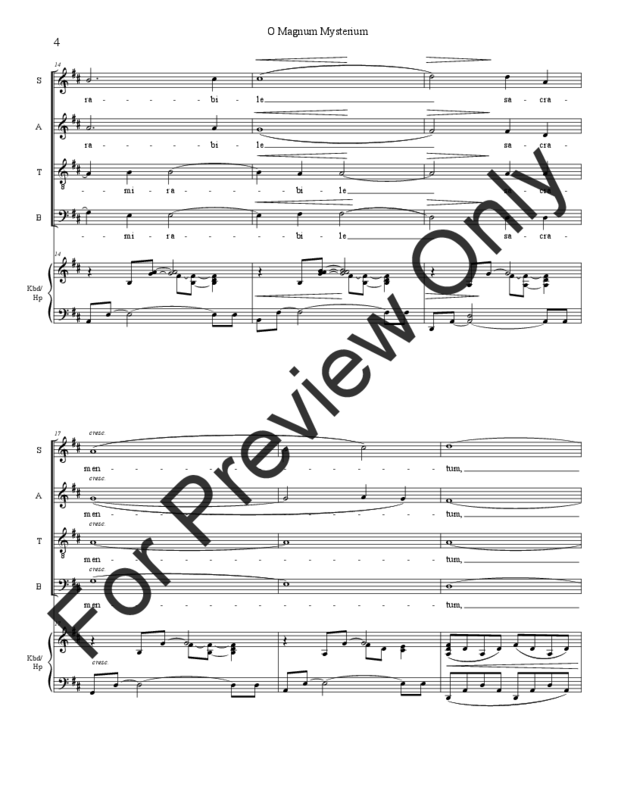 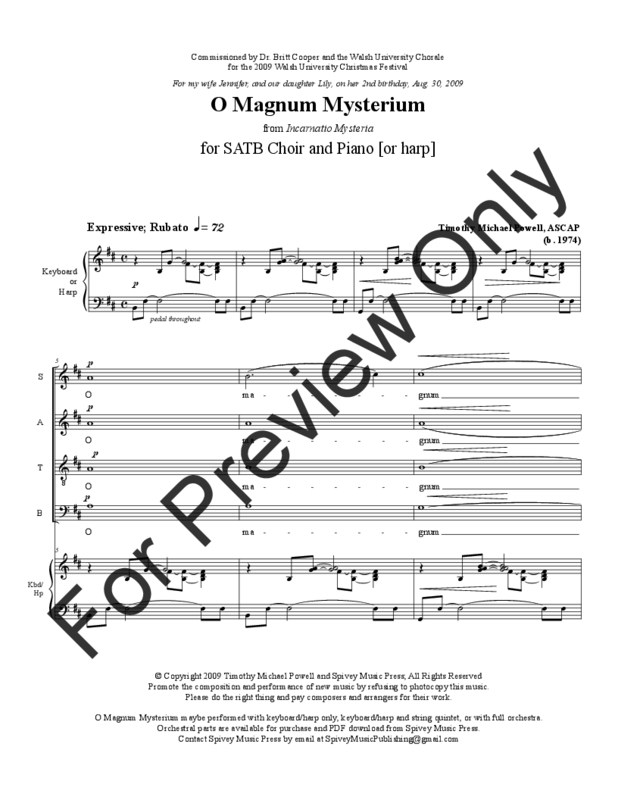 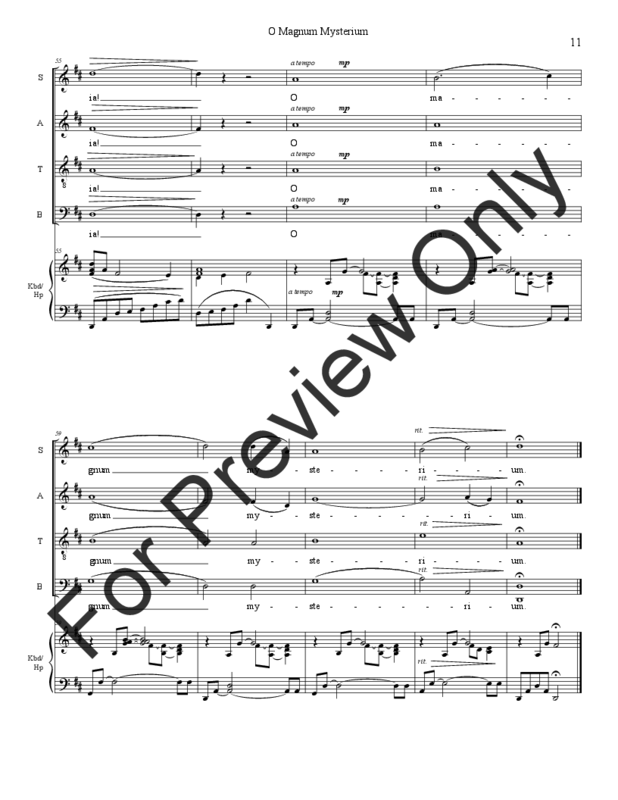 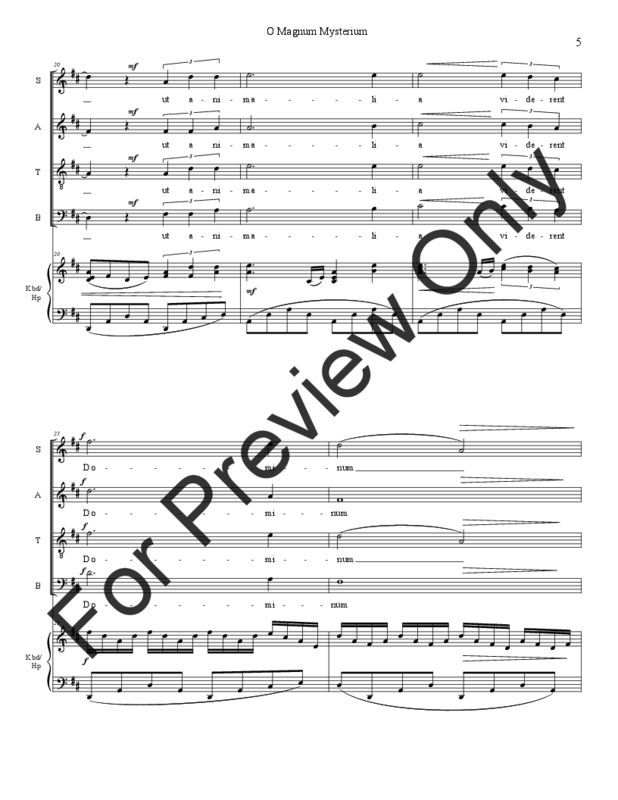 O Magnum Mysterium, which is the 3rd movement of the piece, is traditionally associated with the services for Christmas Day, though it is appropriate for the entire Advent and Christmas season, and throughout the year as a concert piece. 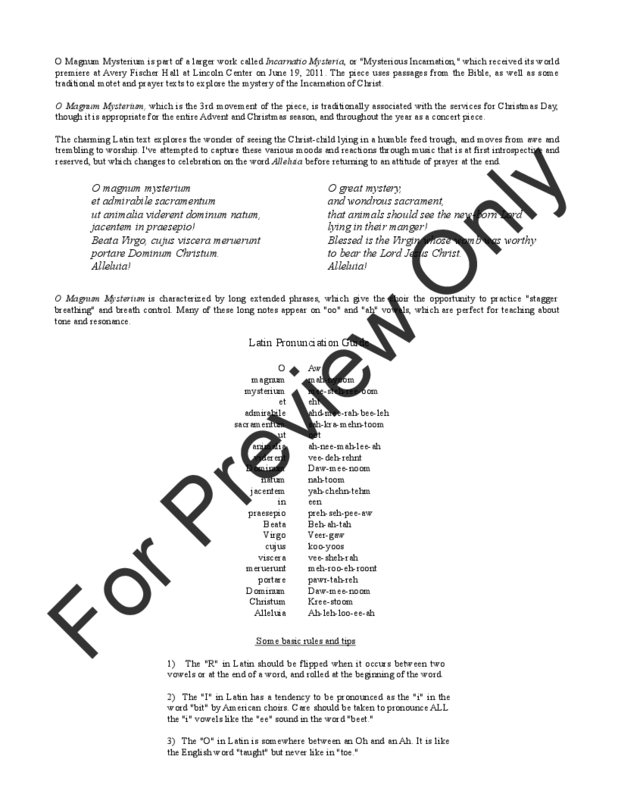 The charming Latin text explores the wonder of seeing the Christ-child lying in a humble feed trough, and moves from awe and trembling to worship. 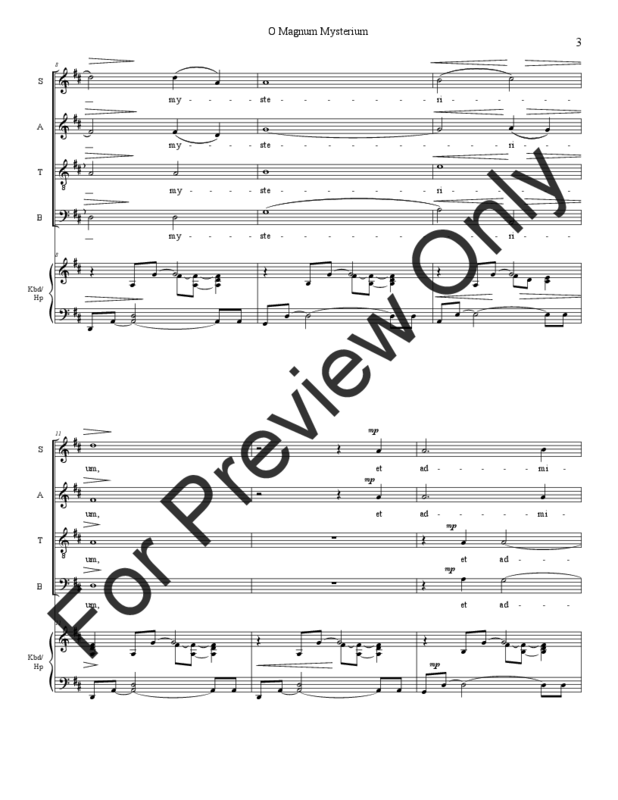 I've attempted to capture these various moods and reactions through music that is at first introspective and reserved, but which changes to celebration on the word Alleluia before returning to an attitude of prayer at the end.